1 Combine Hellmann's® or Best Foods® Real Mayonnaise , Mexican crema, shallot and lime juice in small bowl. Season to taste with salt and pepper; set aside. 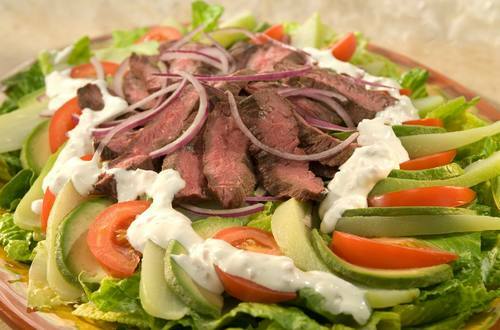 2 Arrange lettuce, tomatoes and avocado on serving platter, and top with chayote, steak and red onion. Just before serving, drizzle with dressing. Also terrific with Hellmann's or Best Foods Mayonnaise with Lime Juice.